Please note that students who are not picked up at dismissal time from school or club/sports activity will be brought to ASP and required to pay the registration and daily fees. 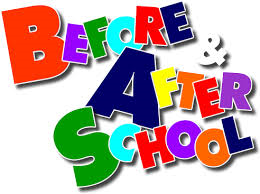 Academy of Our Lady offers a "Before School Care" program for our students beginning at 7 am. This program is located in Mrs. Kiess' classroom, located in the primary wing. Enter school campus on Maple Avenue. When facing St. Catharine Church, turn left. Enter the brown door directly into Mrs. Kiess' classroom. At 8:00 am, Kindergarten - 8th grade students go to church to join their class. PreK morning care continues until 8:30 am. The cost is $5 per child per morning regardless of the child's arrival time. Morning Care is not available on the First Day of School, Last Day of School or if school has a snow delay. Please email Mrs. Kiess akiess@academyofourlady.org with any questions. ASP is held in Mrs. Paterno's classroom, located next to the library. For Pick-up: When facing the front of the school (180 Rodney Street), go left to the upper grade wing. Doorbell is on the blue doors at the end of the building. We offer a safe surrounding for our students. We play with different toys and games, especially Legos. Our goal is to get our homework completed which is assisted by our teachers. We are able to do our homework, study, or work on reports in the library where it is quiet. We watch age appropriate movies. We go to the computer room (school approved websites only), down to the gym, and have outside play, weather permitting. Please email Mrs. Kiess at akiess@academyofourlady.org with any questions.